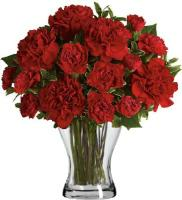 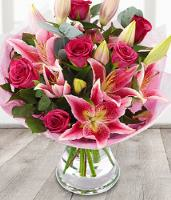 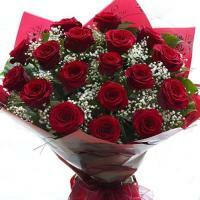 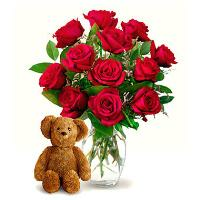 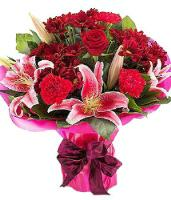 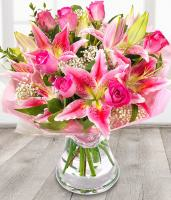 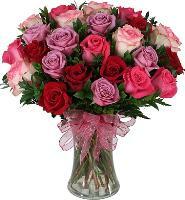 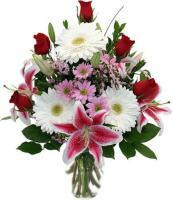 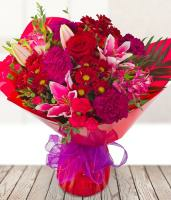 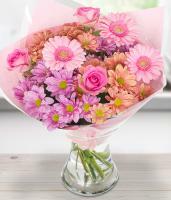 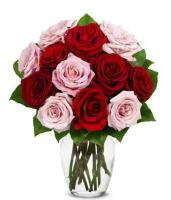 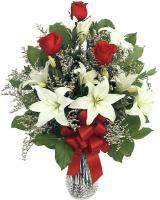 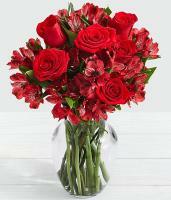 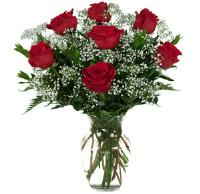 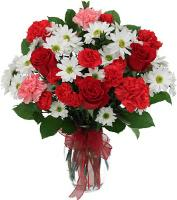 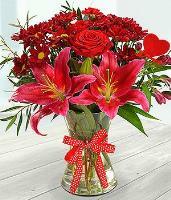 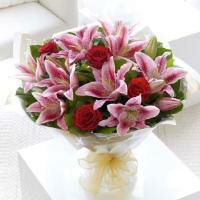 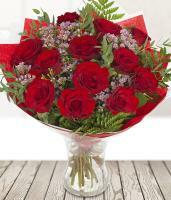 Order romantic flowers delivery for a special someone. 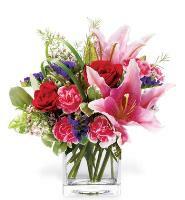 Express your love and romance with a flower bouquet. 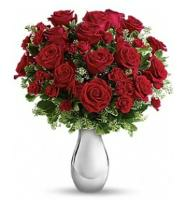 Whether it's red roses, a mixed roses bouquet or a mixed flower bouquet, which might also include roses, you will find a large selection of romantic flower bouquets to choose from. 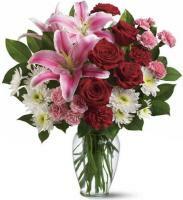 We guarantee that your flowers for a Love and Romance occasion are hand arranged and hand delivered direct from a local flower shop to the recipient's doorstep in Nebraska USA.